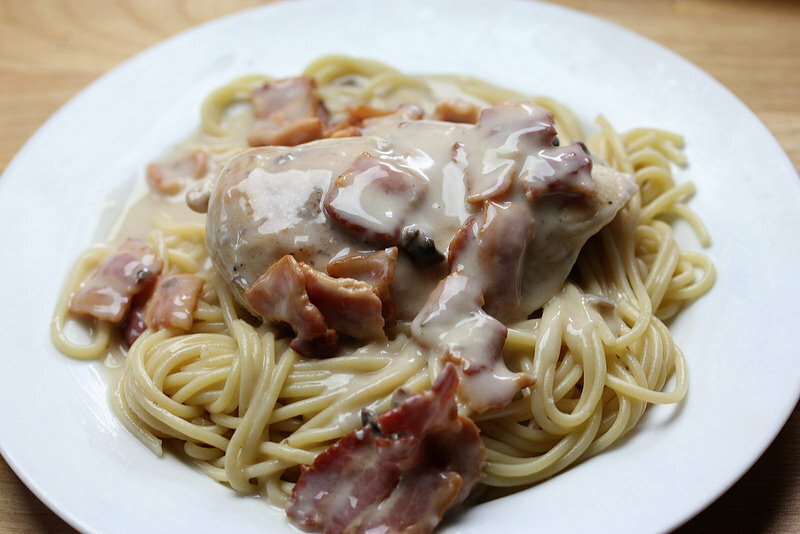 I have a tendency to shy away from canned soup recipes, but when I saw this Chicken with Bacon and White Wine Sauce recipe, it looked really good, so I decided to give it a try. There was no disappointment here, it was very good. This is a simple recipe that requires only a few ingredients and cooks quickly. 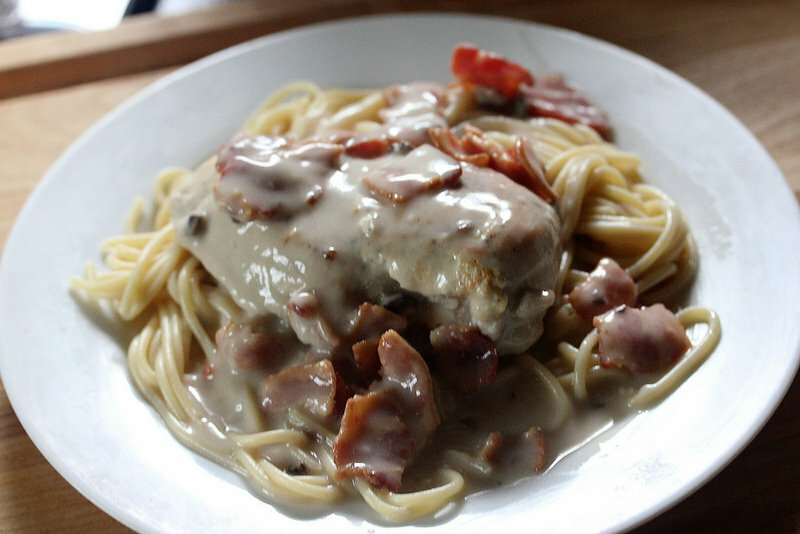 I served the chicken and sauce over spaghetti, but I’m sure it would pair well with hash browns or rice. Cook bacon in a large skillet until crispy; set aside on paper towels to drain. Remove the fat from the skillet leaving about one tablespoon in the skillet. Season chicken with salt and pepper and cook over medium heat until nicely browned on both sides; remove chicken and set aside on a plate. Pour the wine into the skillet, big to boil, and scrap any dripping off the bottom of the pan and then stir in the cream of mushroom soup. Mix in the bacon and arrange the chicken into the sauce in the pan with any accumulated juices. Cover and cook on simmer until chicken is done – 10 – 15 minutes. Serve with sauce over chicken.